Running an ecommerce business is not easy nowadays. There seems to be competition everywhere you look and because technology is constantly changing, you always need to be on top of the latest trends. So what are online retailers doing in order to build a presence and make their mark in the industry? Many are looking into CRM Cloud-based software as the solution. This newer and modern eBay CRM provides companies with a way to store, manage and utilize in-depth customer data across multiple sales channels. For omni-channel sellers, many of which list their products on numerous marketplaces, this software gives them the ability to fine-tune customer engagement, ultimately helping to improve retention and loyalty across channels. If you feel it may be time to rethink your online strategy then you’re going to want to look at how CRM can change the way you do business on eBay and with your other sales channels. Here’s a look at just a few of the ways that eBay CRM can benefit your ecommerce company. Analytics are important to any ecommerce business. Looking at the purchase activity that is occurring on your website, determining what products and services to offer, how to properly stock inventory, information about returns and shipping and so on are vital to success. In the past, this information hasn’t always been as in-depth as many businesses have hoped. Marketplaces like eBay only provide limited data, which can’t be shared to your other sales channels. And this is where a cross-channel CRM comes into play. With the right software, you will be able to enjoy more in-depth analytics. Instead of just looking at the basic facts from your sales channel, it allows you to get very specific about such things as when are customers purchasing items, who is bringing in the sales, what is the average sales order value, what is the rate of returns, what are the preferred shipping methods, and so much more, and from across all your sales channels. So why is this information so important? Well this is what you need to build your marketing and sales strategies. If you are trying to generate new leads and do a better job at nurturing the leads you already have, then this software is the answer. At certain points in your business operations, it may be necessary to retarget your customers through online marketing, social media, and other methods. With the customer behavior data collected by the CRM, you will be able to create personalized, targeted individual marketing. When it comes to trends with sales and customers, it doesn’t help to be behind them. You need to be in-line with what is currently trending in the marketplace. CRM software can help identify where these trends lie. Trend-based sales is where you want to be, but in order to get there you need to have all your sales channels working together and sharing information. This is what newer eBay CRM is able to do. It will provide you with buying habits, trends, return information, shipping preferences, seasonal sales data, what products are poor sellers and which are good sellers, and so much more. It even collects data that pertains to email campaigns, newsletters, ads, online sales/promotions, and other outbound sales information. Using these metrics, you can more easily identify where you are excelling and what areas are lagging behind. Whether that leads to an inventory change, adding new products to your eBay store or limited products you sell between sales channels, you can get an idea of how this information would work to your benefit. 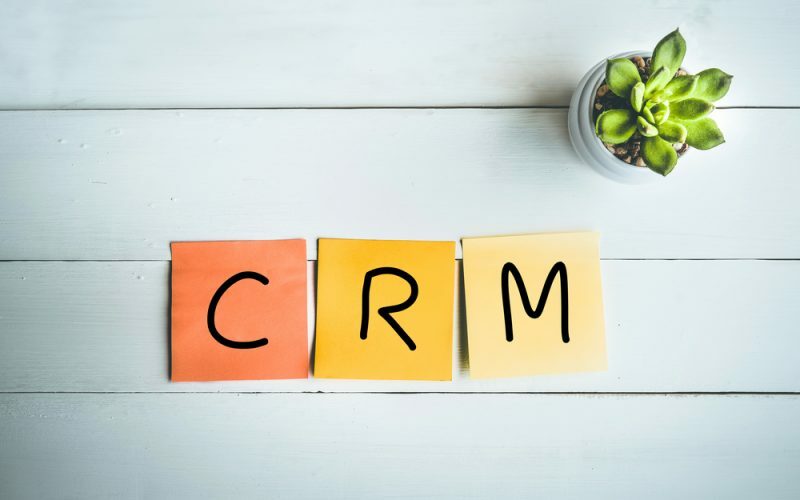 A lot of focus and attention is given to how CRM can help with data collection and analytics, which of course are both important, but then this particular benefit often goes by without any mention. CRM software in fact is able to bring your team together and create a more cohesive environment than ever before. In essence, newer CRM acts like a project or team management system, too. All you have to do is sit back and give thought to how your various team members and departments communicate with each other, when they communicate, how often they communicate, and what they are talking about. If you want to create a more streamlined environment where team members are not only encouraged to chat with one another but want to, then you need to give them a tool to do just that. The right solution offers its own internal chat feature allowing team members to talk in real-time. Departments can coordinate with one another and provide solutions immediately instead of going through a middleman or getting pushed to the side. All you have to do is tag a person in a conversation or project and they are instantly in on it. This communication tool is also a great way for management and team leaders to assign tasks, monitor the progress, and check in with employees. Because files and documents can be shared through this tool, workflow becomes smoother, faster, and more efficient. If you’re looking into the latest software then you will find they offer task lists, which makes assignment and management of tasks even faster and easier. There is also the fact that the entire team has access to the data and analytics that the software is collecting. This can help them when it comes to tracking customer information, current trends in the marketplace, patterns, and more. Most companies report more productive employees once the CRM has been put in place. If you are currently using separate software for team management and task assignment, you’ll be able to get rid of this additional step. Rather than rely on all different solutions, which can become confusing, employees can use one central solution that addresses all their needs. While it has already been discussed how this CRM software can help with lead nurturing and generation, it’s important to discuss exactly how it does that. The CRM software helps with social leads, new customers, B2B leads, newsletter signups and online leads by tracking the data and analyzing it. You will be able to determine where your efforts are proving to be successful, and where they are falling behind. This information can also be helpful as sales people work to close a sale, get that repeat business, and attract new customers. At the end of the day it’s not about how eBay CRM can benefit your business, it’s about how you can afford not to invest in the software and take full advantage of the tools it offers to help improve sales at all your online channels while improving team productivity, customer loyalty and long term retention.